Scottish Veterans LX Hockey Club (now re-named Scottish Masters Hockey Club) was formed in 2002 as a result of an invitation for a Scotland team to participate in the European Superveterans Championships in Paris in October 2002. The Scots finished third in the tournament after losing a penalty flick competition against the current holders Uber 60 (Germany) for a place in the final against England LX. The Scottish team was awarded the fair play trophy and was mentioned in the tournament summary as having contributed to the "ambience débridée" at the tournament dinner. The journey had begun, and what better place to start it than in Paris? Doug Morrice was the driving force behind the team, calling on many of the players who had played for Scottish Veterans in the 1970s, 80s and 90s. That era had seen a flourishing veterans district tournament, playing for the Freddie Gruber trophy and involving East, Midlands, North and West district teams, but district hockey at senior level died out after the establishment of the National League in 1975. Eventually, with little or no new blood coming in, the Freddie Gruber trophy competition was no more, and Doug saw that international competition could take its place, allowing the ageing veterans to compete once again with players of their own age. The 'founding members', first to wear the navy blue (soon to turn grey) cotton drill strip with the Scottish Veterans LX Hockey Club badge, were: Howard Andrew, Alan Auld, George Black, Alan Bremner, Doug Caren, Ian Downie, Keith Forster, Craig McCall, David McIntosh, Peter Monaghan, Doug Morrice, Harry Phillips, Alistair Philip, Alan Strachan, Jim White. These were the days before passport inspections and some of the players were a little below the age of sixty, but "looked old", according to Doug Morrice. Every year since 2003 in Hannover the club has competed as the national team of Scotland, though it continued to play in the original strips until 2008 (with numbers ironed on in 2005 and new, white 'away' strips, both to meet European tournament regulations). The 'Europeans' were held at Peffermill in 2004 and the visiting teams came away with a fine impression of Scotland as well as the trophy. Rotterdam was the venue in 2005. Scotland won the European bronze medal in Bra, Italy in June, 2006. In September 2006 in Leverkusen, Germany, Scotland competed for the first time in the Masters World Challenge Series, finishing in sixth place in the World Grand Masters (Over 60s) tournament with wins over Netherlands and Egypt. Five years on from Paris 2002, we had enough players old enough to form an Over 65 international side. At Canterbury, England in 2007, Scotland Over 65s competed for the first time in a major competition alongside their younger counterparts in the inaugural European Cup tournaments at Over 60 and Over 65 levels. Scotland, now playing in official Scotland strips, finished in fifth place in both the Over 60s (Grand Masters) and Over 65s (Great Grand Masters) events in the World Grand Masters championships held in Hong Kong in September 2008. Scotland competed at both Over 60s and Over 65s levels in subsequent World Cups in Cape Town in 2010, Oxford in 2012, Den Haag in 2014 and Newcastle, New South Wales, in 2016. Both sides took part in the European Cup competitions in Amstelveen in 2009, Neuss in 201 and Kontich in 2013. Many of the original players were still playing in 2015 but a shortage of players in the 65-69 age group meant that there was no Scotland Over 65 team in the 2015 European Cup in London. Instead, Scotland fielded an Over 60 team and, for the first time in a major competition, an Over 70 team. That team won the bronze medal. 2017 saw Scotland field Over 60, Over 65 and Over 70 sides in the European Cup held in Glasgow. Scotland LX played England LX in an informal international at Tarporley in 2007 and then played Wales in Aberdeen the following year. Scotland hosted the first Home International tournament in Stirling in 2009, the Over 60 tournament for the Linburn Trophy involving England, Scotland and Wales and the Over 65 tournament only England and Scotland. The Home Internationals have continued every year except 2014 since then, Wales coming into the Over 65 tournament in 2012 in Dundee. Ireland joined the Over 60 tournament in 2015 in Glasgow took part in the Over 65 Home Internationals for the first time in London in 2016. In that year, the tournament was expanded to include an Over 70 series involving England, Scotland and Wales, a format which continued into 2017 in Wales. The club competes as Scottish Thistles in social fixtures at invitation tournaments all over Europe and in friendly fixtures in Scotland and England. In recent years, Scottish Thistles have entered teams in the Tournament Trophy in World and European tournaments and this is a continuing trend. There are also regular training sessions, open to all players ahead of selection, after which some are used for practice by international squads. Training sessions are normally run in age groups: 60-64 and 65 upward. 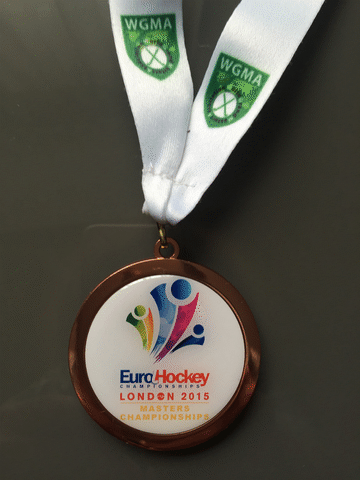 At the 2018 AGM, members voted to change the name of the club to Scottish Masters LX Hockey Club as the term 'veterans' had become obsolete, the term 'masters' now being the preferred name for hockey played from the age of 35 upwards. Players of all levels are welcome to join the club, from those like George Black and David Cassell who have many full international caps to those who have taken up the game later in life. Nationality is no barrier if you want to play for Scottish Thistles. Umpires and non playing members are welcome too and many players take their wives on tour. Membership for 2017-18 is open to all players aged 58 or over on 31 December 2018, with Junior Membership available to those approaching the big date. Those who will reach 60, 65 or 70 by 31 December 2018 and who are qualified to play for Scotland will be fully age qualified to play in international competitions at Over 60, Over 65 and Over 70 levels respectively, and players up to two years under the age limits for Over 65 and Over 70 may be given permission to join the appropriate squad. The number of eligible players in the 60-64 age bracket is large enough to justify requesting permission to field underage players.